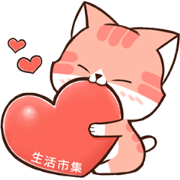 Buy123 TW’s new stickers featuring Little Red Cat CHACHA are now on LINE! Send these to share your mood with friends—they’re sure to reenergize your day! Friend Buy123 TW E-commerce’s official account to get the set for free.